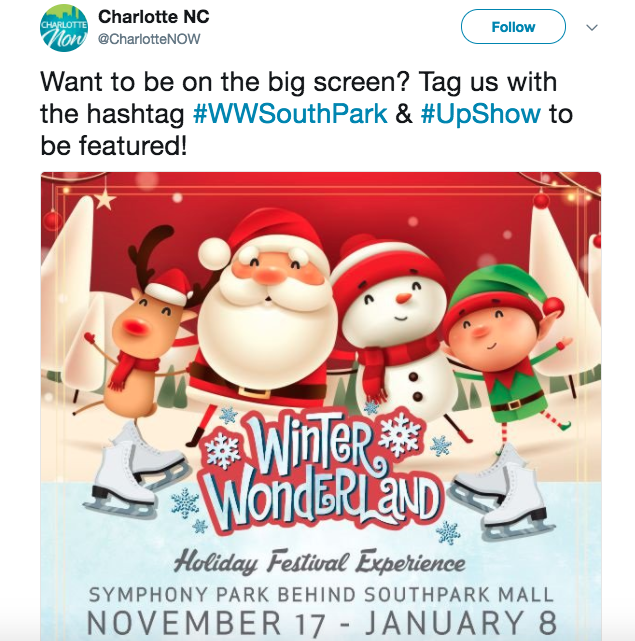 A lane of snow glistening, a beautiful sight while walking in a winter wonderland wasn’t just a whistling holiday tune this year as the South Park shopping center opened its first season of Winter Wonderland to Charlotte, North Carolina. Everyone in Charlotte seemed to be getting into the reason for the season...you know, posting to UPshow of course! Local publishers, news outlets and community members got on social media to tweet, insta and post about getting on the big screen! Against the florescent glow of the UPshow screen, the community was able to get together and enjoy all the winter festivities. Once posted on social media, the Winter Wonderland event was seen by more than just locals, gaining thousands of impressions because of beautiful pictures like this! With events like Winter Wonderland, consumer-generated content is extra important. Those curious to attend want to see what others experienced and the first place they look is social media. And with stunning posts like this, Winter Wonderland had quite the turnout! These bundled up skaters weren't the only ones who made more than 1 appearance on the UPshow screen. The Winter Wonderland crowd averaged 3 posts per user on over 200 unique posts of the run. Makes sense, with the Olympics around the corner what skater wouldn't want their perfect score skate on the jumbo-tron? Influencer posts, did you seem 'em? Walking in a winter wonderland with a high profile influencer doesn't just reel in the crowds at the venue but also on social media. 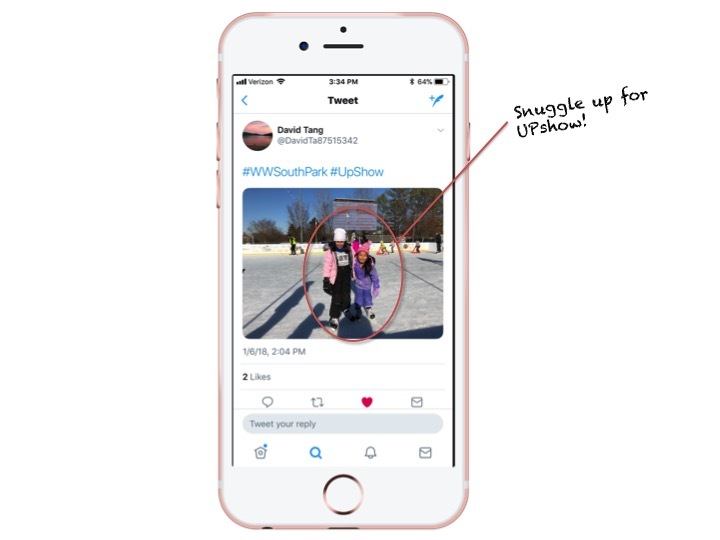 An influencer like David, with 12K followers, is able to showcase all his winter activities to a wide audience, boosting Winter Wonderland's impression data. Winter Wonderland offered the community the opportunity to enjoy festive fun with the help of entertaining and delicious sponsors! To showcase these partners, Winter Wonderland displayed them as Spotlights to run on the UPshow screen. Glance through the below Spotlights! Older PostCurious About UPshow vs Enplug?